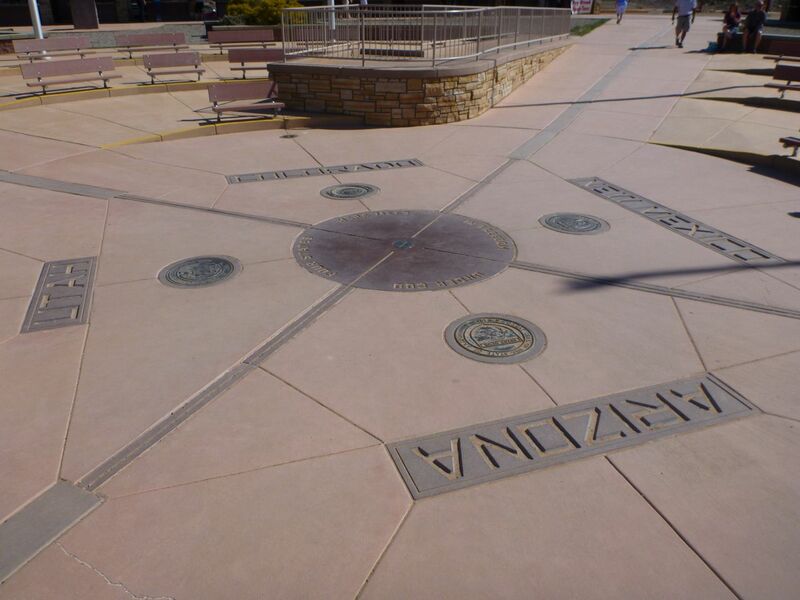 The monument where “visitors can simultaneously straddle the territory of four states” is maintained as a tourist attraction by the Navajo Nation Parks and Recreation Department. 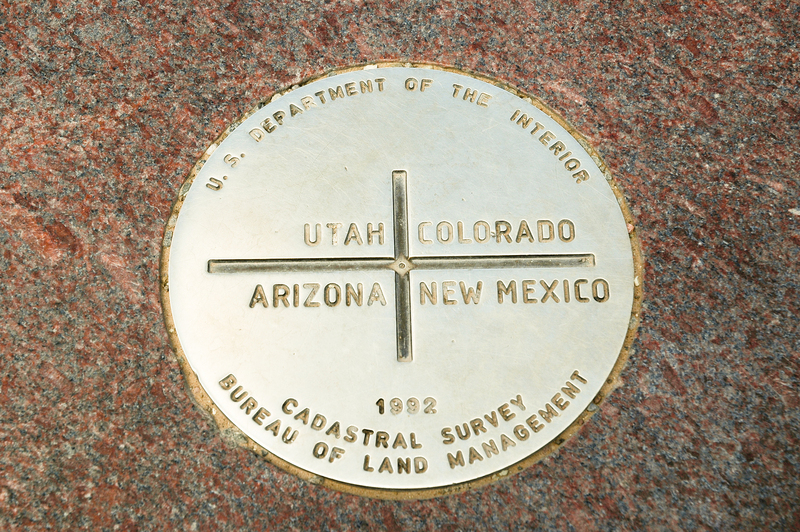 Unlike many other attractions based on what are primarily political boundaries, such as the Berlin Wall, Four Corners Monument is an example of a political boundary that is a tourist destination in its own right. 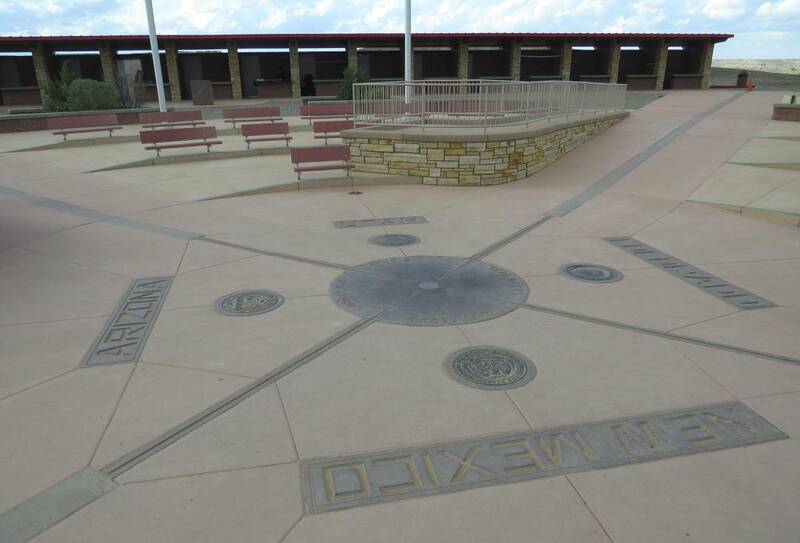 The monument consists of a granite disk embedded with a smaller bronze disk around the point, surrounded by smaller, appropriately located state seals and flags representing both the states and tribal nations of the area. 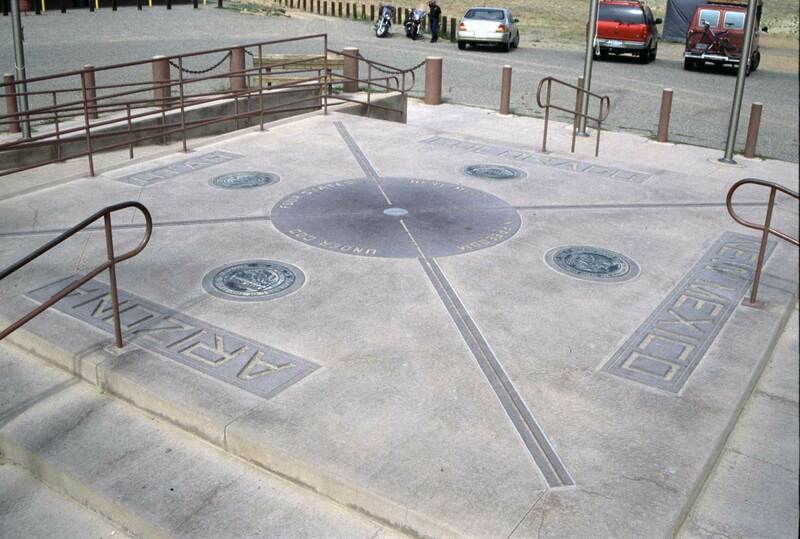 Circling the point, starting from north, the disk reads with two words in each state “Here meet in freedom under God four states”. Around the monument, local Navajo and Ute artisans sell souvenirs and food. An admission fee is required to view and photograph the monument. The monument is a popular tourist attraction despite its remote and isolated location. As early as 1908, people traveled long distances to take pictures of family and friends at the monument in Twister-like poses, sitting on the disk, in a circle of friends or family around the disk, or for couples to kiss directly over the disk.